Pateley Bridge can be found within the heart of Nidderdale, which is an official area of outstanding natural beauty, and the town is the starting and finishing point of the 53 mile circular route of the Nidder Way. 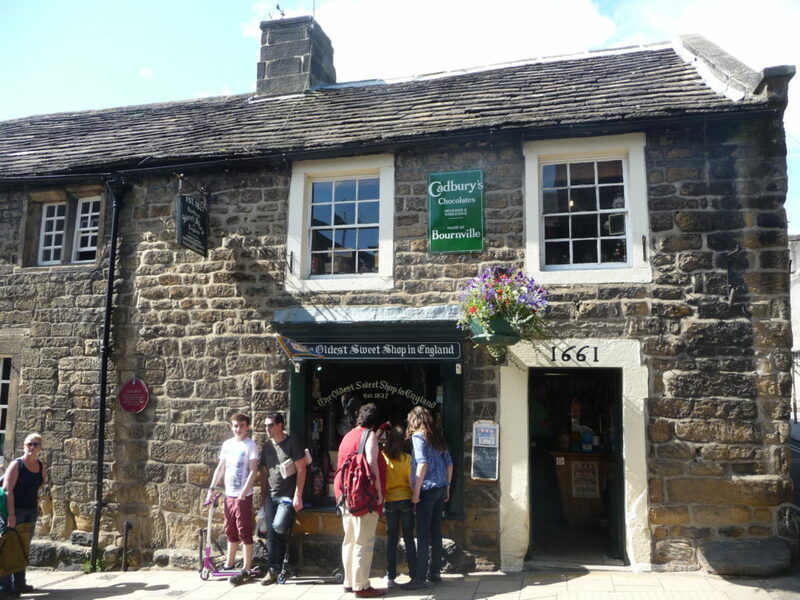 Well worth a visit, there are many impressive outdoor landmarks to see in and around Pateley Bridge. 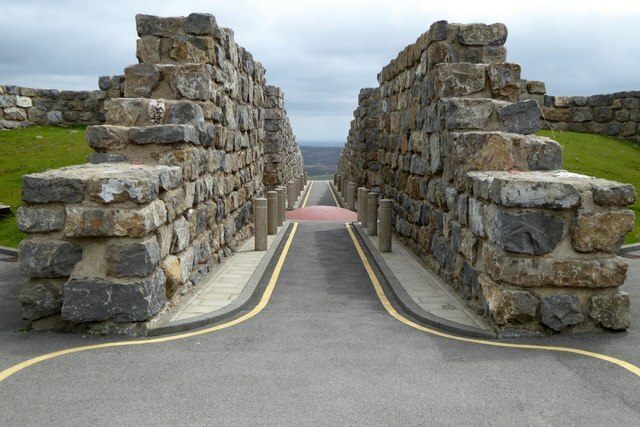 One of these is the Coldstones Cut, which is the highest and biggest piece of public artwork in Yorkshire. Commissioned in 2009, the sculpture is the work of Andrew Sabin and sits on Greenhow Hill. It mixes old and new elements enabling visitors to walk through a modern streetscape surrounded by ancient blocks. 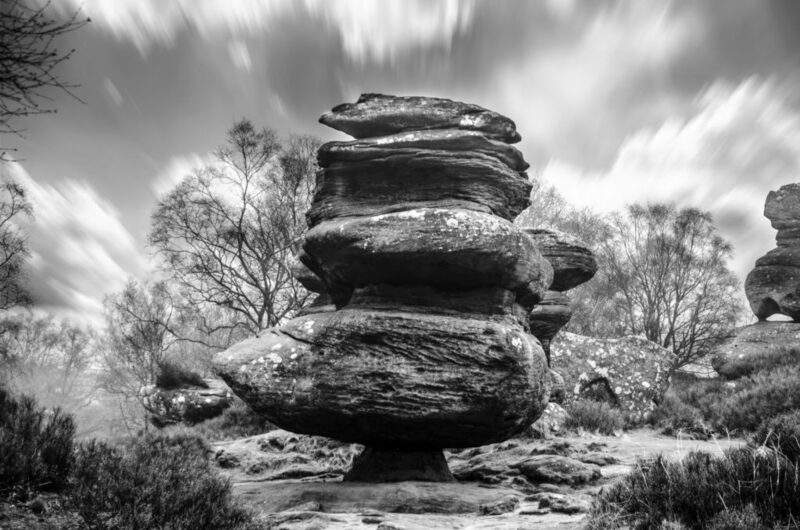 Scattered across 50 acres of moor near Pateley Bridge are Brinham Rocks. Glaciation and erosion from wind and rain caused this formation of the local millstone grit sandstone. It is around 320 million years old. Some rocks have nicknames such as the Sphinx, the Eagle, Idol rock, the Turtle, the Camel and the Dancing Bear. The National Trust maintains thee rocks which are open to the public 365 days a year from dawn until dusk. 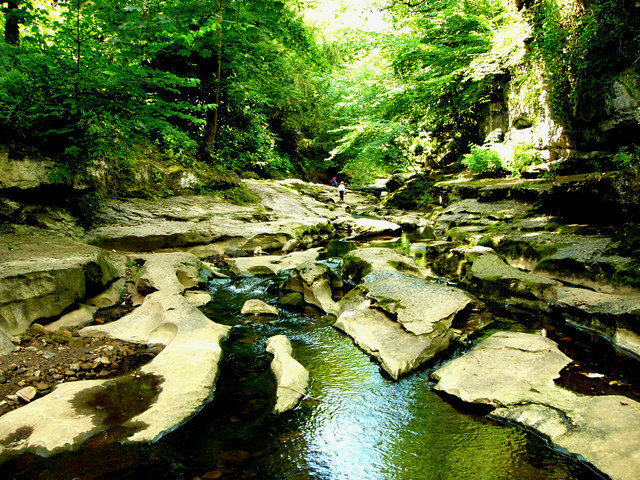 Other outdoorsy ‘must-dos’ include Stean Gorge, a striking limestone cleft which stands over 80 ft high in some parts. Visitors can cross it via footbridges, and for the adventurous there is gorge walking, rock climbing, caving and abseiling. 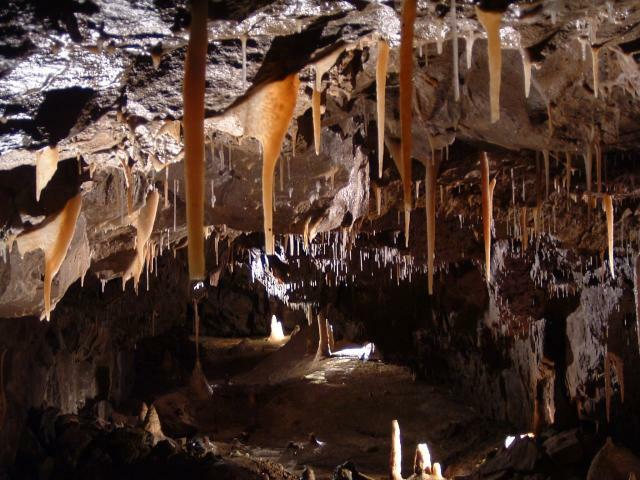 Miners who were looking for lead in the Yorkshire Dales discovered Stump Cross Caverns in 1850. It is a natural cave system. William Newbould opened up the caverns and charged the public a shilling for entry. There are remains of Wolverines at the caves. Geoff Workman completed his World Record at the caves for the longest time spent underground – Geoff was there for 105 days. Visitors can still access 6km of the cave system, which goes to 20ft below ground. 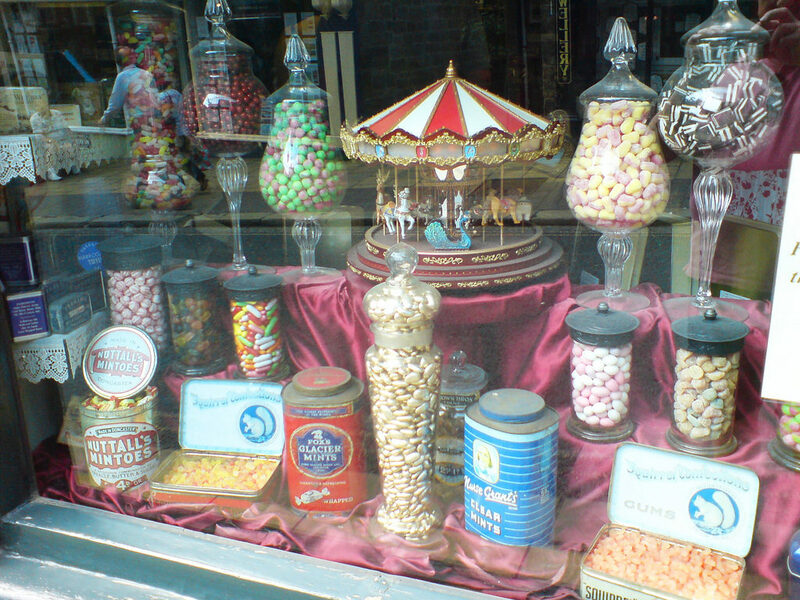 Pateley is also home to The Oldest Sweet Shop in the World. It has been trading since 1827 and has had its status confirmed by Guinness World Records. They still make the confectionery to 19th century recipes. The shop has literally hundreds of toffees, liquorice, bon bons, chocolates and candies to choose from. All the old favourites are there, and browsing the shelves of jars of nostalgic comfits is to skim through childhood. 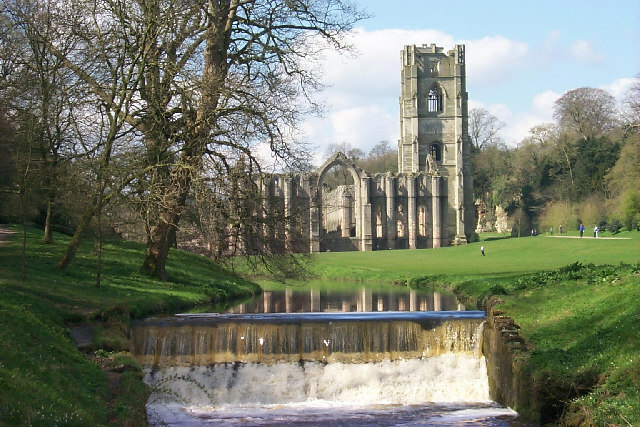 Also nearby is the very impressive Fountains Abbey, the largest set of Monastic ruins in the country. The Abbey was founded in 1132 and was of the Cistercian Order of “White Monks.” However, Henry VIII’s dissolution of the churches 400 years later meant that all of its treasures became property of the crown. Following this, much of its lead and windows were sold. Nowadays, the Abbey is part of the Studley Royal Estate, and visitors can enjoy the ruins against this stunning backdrop. The Old Granary Teashop, which is Vegan friendly. If you still find yourself with time on your hands, you can catch a film at the cinema in the Village Hall. The hall has regular screenings and is entirely community-run – it even has its own bar. There is also Pateley Playhouse, which started life in 1859 as a Methodist chapel but is now a 72 seat theatre where 3-4 productions are out on ever year, including original productions. Summer brings a whole host of events in Pateley Bridge and surrounding areas such as the Nidderdale Show which is the final agricultural show in the calendar, the Middelemore Bell Festival which dates back to 1868, the Nidderdale Art Trail and 1940’s weekend. There are also regular book and craft fairs, flower festivals, cricket matches and live concerts in the bandstand. Later on in the year, there are open heritage days in September, giving visitors the opportunity to explore historic buildings.